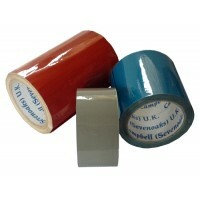 Colour Indoor Pipe ID Tape- Campbell International Specialist Tapes. Please note we also supply and stock British Standard 381C and RAL colours. 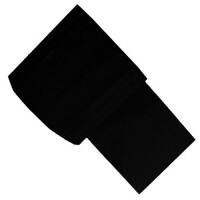 Tape widths in bold are in stock. White Printed Pipeline ID Tapes can be used as BS 1710:Supplementary Information to compliment these tapes. 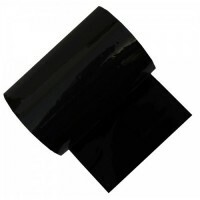 Size: 144mm x 33m Colour: Black - 00E53 Technical specification: White rigid PVC coated one side with a transparent resin rubber adhesive laminated with a 30 micron transparent polypropylene for environmental protection. Recommended for internal use only. British Standards: BS 1710:1984, BS .. Size: 48mm x 33m	Colour: Black - 00E53	Technical specification: White rigid PVC coated one side with a transparent resin rubber adhesive laminated with a 30 micron transparent polypropylene for environmental protection. Recommended for internal use only. British Standards: BS 1710:1984, BS 17.. Size: 96mm x 33m	Colour: Black 00E53	Technical specification: White rigid PVC coated one side with a transparent resin rubber adhesive laminated with a 30-micron transparent polypropylene for environmental protection. Recommended for internal use only. British Standards: BS 1710:1984, BS 1710.. Size: 144mm x 33m Colour: Brown - 06C39 Technical specification: White rigid PVC coated one side with a transparent resin rubber adhesive laminated with a 30 micron transparent polypropylene for environmental protection. Recommended for internal use only. British Standards: BS 1710:1984, BS .. Size: 25mm x 33m	Colour: Brown 06C39	Technical specification: White rigid PVC coated one side with a transparent resin rubber adhesive laminated with a 30 micron transparent polypropylene for environmental protection. Recommended for internal use only.British Standards: BS 1710:1984, BS 1710:2.. Size: 48mm x 33m	Colour: Brown 06C39	Technical specification: White rigid PVC coated one side with a transparent resin rubber adhesive laminated with a 30 micron transparent polypropylene for environmental protection. Recommended for internal use only.British Standards: BS 1710:1984, BS 1710:2014 .. Size: 144mm x 33m	Colour: Canary/Primrose Yellow 10E53	Technical specification: White rigid PVC coated one side with a transparent resin rubber adhesive laminated with a 30 micron transparent polypropylene for environmental protection. Recommended for internal use only. British Standards: BS 1710:.. Size: 96mm x 33m	Colour: Canary/Primrose Yellow - 10E53	Technical specification: White rigid PVC coated one side with a transparent resin rubber adhesive laminated with a 30 micron transparent polypropylene for environmental protection. Recommended for internal use only. British Standards: BS 1710.. Size: 144mm x 33m Colour: Green Emerald 14E53 Technical specification: White rigid PVC coated one side with a transparent resin rubber adhesive laminated with a 30 micron transparent polypropylene for environmental protection. Recommended for internal use only. British Standards: BS 1710:198.. Size: 48mm x 33m	Colour: EMERALD/IRISH GREEN 14E53	Technical specification: White rigid PVC coated one side with a transparent resin rubber adhesive laminated with a 30 micron transparent polypropylene for environmental protection. Recommended for internal use only. British Standards: BS 1710.. Size: 96mm x 33m Colour: Green Emerald 14E53 Technical specification: White rigid PVC coated one side with a transparent resin rubber adhesive laminated with a 30 micron transparent polypropylene for environmental protection. Recommended for internal use only. British Standards: BS 1710:1984.. Size: 144mm x 33m Colour: Golden Yellow 08E51 Technical specification: White rigid PVC coated one side with a transparent resin rubber adhesive laminated with a 30 micron transparent polypropylene for environmental protection. Recommended for internal use only.British Standards: BS 1710:1984, BS 171.. Size: 144mm x 33m	Colour: Green - 12D45	Technical specification: White rigid PVC coated one side with a transparent resin rubber adhesive laminated with a 30 micron transparent polypropylene for environmental protection. Recommended for internal use only. British Standards: BS 1710:1984, BS 1710:2.. Size: 25mm x 33m	Colour: HOLLY/BRUNSWICK GREEN 14C39	Technical specification: White rigid PVC coated one side with a transparent resin rubber adhesive laminated with a 30 micron transparent polypropylene for environmental protection. Recommended for internal use only. .. Size: 25mm x 33m	Colour: Iceplant Green 14C35	Technical specification: White rigid PVC coated one side with a transparent resin rubber adhesive laminated with a 30 micron transparent polypropylene for environmental protection. 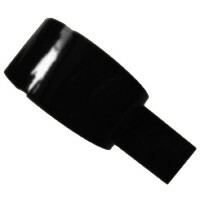 Recommended for internal use only.British Standards: BS 1710:1984, ..